I’m late in posting this but Merry Christmas or as the locals say Happy Christmas! This was my first Christmas away from my NJ home. (Look at that I specified NJ home, indicating I have 2 homes now. Boy, am I growing up.) It was a bit strange not being in NJ for Christmas. No below 0 weather. No snow. No Santa wanna-bes standing on the corner ringing their bells for donations. It just didn’t feel like Christmas other than the fake 6 ft tree we had in the corner of the living room (which by the way I’m tossing once I take it down for it was the most painful tree to put up in my lifetime!). LJ received a lot of presents from Santa and my hubby got the XBox 360 he wanted. I didn’t get the million dollars from the lottery as I had hoped. After opening our gifts, we went to my sister-in-laws place and the kids were able to play outside in the nice warm weather. We stayed for Christmas lunch then Christmas Tea (dinner) but it wasn’t anything I was used to. There was ham and turkey but it was just a turkey roll (breast) not a real turkey with bones and all. No pernil. 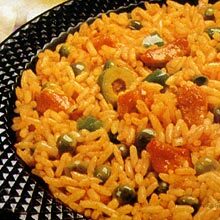 No arroz con gandules. No pasteles. It was different but it’s to be expected coming from a Puerto-Rican background in the States to a generic anglo environment. All in all, I survived my first Christmas in Australia. Next year if my little ones let me I might cook some spanish food to contribute to the Christmas Tea and maybe I’ll share it with my in-laws. Share the post "Merry (Happy) Christmas…a little late"